With the sky high prices of properties in Singapore, and the trend of developers building smaller and smaller apartment units, it is no wonder that many Singaporeans have to make do with small living spaces. 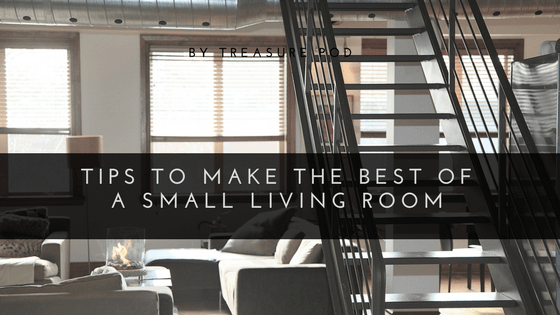 If you are like one of the many Singaporeans who wished that their living rooms are abit roomier, here are some great ideas to make the best out of the cramped space. Avoid heavy curtains and drapes that blocks natural light from getting in. Instead, choose lighter and thinner fabrics or blinds. Stick to lighter colours for the walls. Choose matte paint over glossy options – you’ll want light to be nicely diffused on the walls and not bounced off them. The same ‘lighten it up’ rule applies for furniture too. White and light-coloured table and counter tops help the space look more spacious than say, wood surfaces. Sofas and upholstery should be preferably beige, white, pastels and other light natural shades. When shopping for chairs and sofas, choose those with plenty of room under the seat, preferably with slimmer legs. Avoid bulky pieces like a large armchair. These are probably more suited for bigger rooms – they take up more space and make a small living room look more cramped. It may be intuitive to fill a small living room entirely with smaller furniture pieces. However, a small space will actually feel bigger by placing a really big statement piece to draw visual attention away from the confining walls, giving the interiors a focus. A bright and bold coloured piece will do well here, popping out from the light-coloured walls and interiors. A small living room will look more cramped and stiff if you line your furniture against and along the walls. Thus, you should design your furnishing layouts around corners and diagonals. Fluid and irregular furniture styles and placements will help the small room break free from the boxed-up feeling. A triangular or irregular shaped coffee table rather than a square or rectangular shaped one will also help to that effect. Even the smallest space can come to live with different areas defined. Start by thinking about the different activities the space is going to serve. For example, you can make use of a set of open shelves or a short counter to create a separate TV area and a reading corner. If your dining table is also in the living room, try placing the table and chairs on a contrasting rug to define a dining space that’s separated from the living areas.